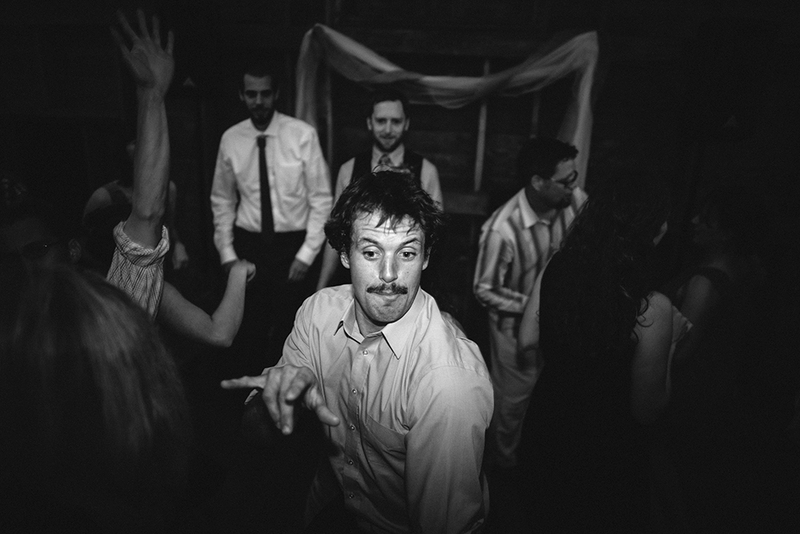 A few weeks ago I flew to Minnesota to photograph Ben & Jill's wedding. 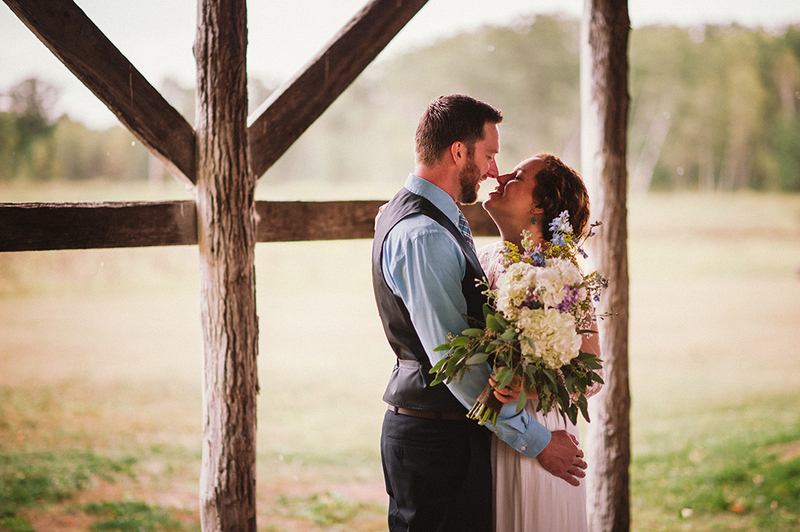 They planned their beautiful outdoor wedding at the Rum River Barn, about an hour north of the Twin Cities. Starting from our initial conversations about the wedding, one theme continued to emerge: outdoors. Ben & Jill, who co-founded and run the non-profit agency EDIT, spent a good year researching and planning their perfect outdoor wedding. When I arrived at the venue, about three hours before the ceremony, the grounds were being set up for the day. 80 hay bails had been lined up for guest seating during the ceremony, yard games were being put in place and their tandem Schwinn bicycle was being set up for their photo booth. 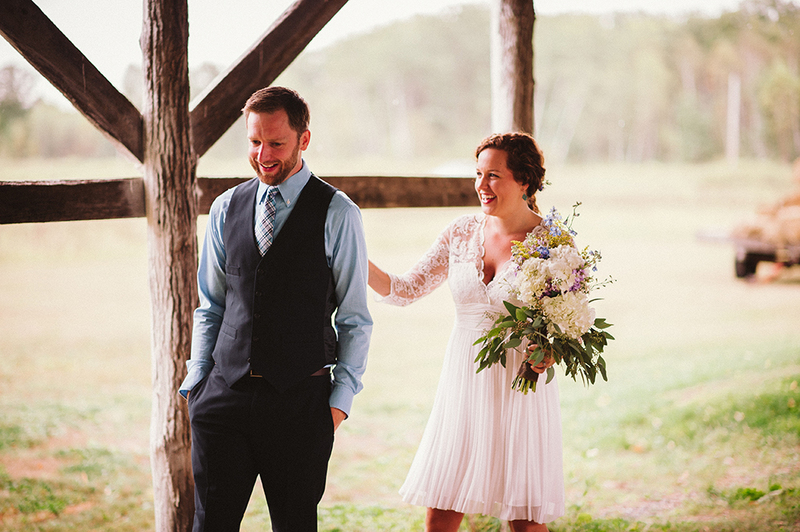 As Jill emerged from the bridal suite and we made our way across the property for her first look, it started drizzling. After their first few moments together, the rain intensified. Ben & Jill were undeterred and determined to utilize the outdoors. About 30 minutes in to their portraits the rain was coming down in sheets and an executive decision to move the ceremony indoors was made. Even though Ben & Jill weren't able to have their ceremony outdoors, they had probably the best back-up-plan-venue possible. 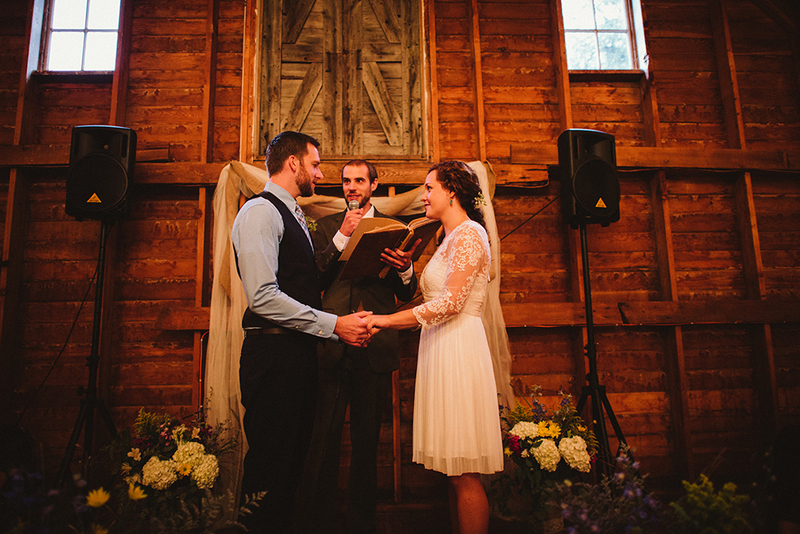 The beautiful barn served as a perfectly intimate location for their emotional vows. Ben & Jill are the types to take everything in stride and just say "oh well" to whatever comes their way. Wishing a lifetime of unexpected moments to the newlyweds. 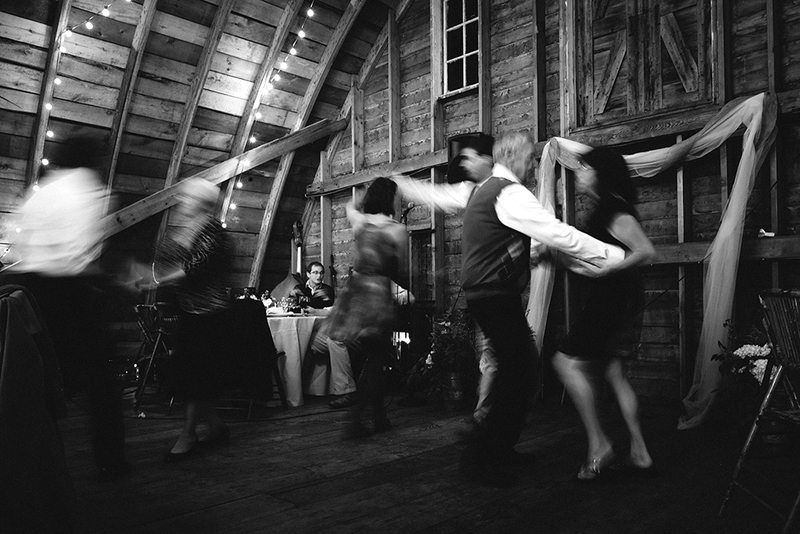 To see more from this wedding and to buy prints, click here.